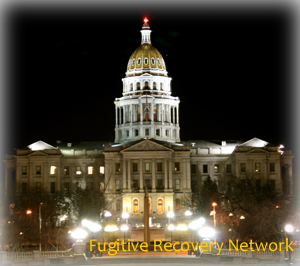 Below is basic information on bail bond laws for Colorado concerning Bail Enforcement, Bounty Hunters, Fugitive Apprehension and Bail Bondsman. This is not legal advice. Laws change frequently, please check the links provided for possible updates and current information. Colorado Revised Statutes Annotated Title 12. Professionsand Occupations General Article 7. Bail Bonding Agent. colorado Revised Statutes Annotated Title 13. Courts Andcourt Procedure Related Court Rules Chapter 30. Colorado Municipal Court Rules Of Procedure Rule 246. Bail. colorado Revised Statutes Annotated Title 16. Criminal Proceedings Code Of Criminal Procedure Article 4. Release From Custody Pending Final Adjudication Part 1. Release On Bail. Throughout the Colorado statutes, the reference to the “Division” means the division of insurance, which is the regulatory body for the bail bond business. The agent shall contact the Colorado bureau of investigation pursuant to the requirements of this section to confirm that the person has submitted fingerprints to the bureau for a criminal background check and to confirm that such person has not been convicted of or pled guilty or nolo contendere to any felony under federal or state law. For employment commencing on or after January 1, 1999, the agent shall obtain a copy of a certificate of training from the individual indicating that such individual has received training in bail fugitive apprehension from a private bail recovery program or an accredited institution of higher education. Such training shall comply with the standards established by the peace officers standards and training board pursuant to section 24-31-303(1)(h), C.R. S., and shall not exceed sixteen clock hours. The agent shall obtain a statement from the individual attesting, under penalty of perjury, that such person is providing true and complete information to the bail bonding agent. Shall have his or her fingerprints taken by a local law enforcement agency for the purposes of obtaining a background check. The individual is required to submit payment by certified check or money order for the fingerprints and for the background check at the time the fingerprints are taken. Upon receipt of fingerprints and the payment for costs, the Colorado bureau of investigation shall utilize such fingerprints, the bureau’s files and records, and the files and records of the federal bureau of investigation for the purpose of determining whether the individual has been convicted of or pled guilty or nolo contendere to any felony under federal or state law during the previous fifteen years. A licensed bail bonding agent may not hire, contract with, or pay any compensation to any individual for bail recovery services if the inquiry to the Colorado bureau of investigation required by this section indicates that the bureau has not completed a background check on the individual or if the bail bonding agent knows, through the inquiry to the Colorado bureau of investigation or through any other source, that such individual has been convicted of or pled guilty or nolo contendere to a felony under federal or state law during the previous fifteen years. The commissioner shall promulgate regulations requiring that bail bonding agents licensed under article 7 of title 12, C.R.S., be required to provide to a continuing education administrator proof of compliance with the continuing education requirements as a condition of license renewal. Each producer and bail bonding agent licensed under article 7 of title 12, C.R.S., shall be responsible for paying to the continuing education administrator a reasonable biennial fee for the operation of the continuing education programs, which fee shall be used to administer the provisions of this section. Continuing education course instruction, content, outline, and course providers are subject to initial approval by the commissioner and, at the discretion of the commissioner, are subject to periodic review for continuation. Colorado bail agent’s arrest authority. (1.5) “Bail recovery” means actions taken by a person other than a peace officer to apprehend an individual or take an individual into custody because of the failure of such individual to comply with bail bond requirements. At this time, there appear to be no specific regulations for “Bounty Hunters” in the Colorado statutes. Please check with the Colorado’s Department of Insurance, Licensing Board and/or Local Law Enforcement for the most recent updates. If you know of any updates to Colorado’s bail bond laws, please provide as much detail as possible and send to us using our contact form.